EIX Alcudia Hotel 4* is a building with reminiscences of Majorcan stately homes, and is distributed on four floors, where great attention has been given to detail and quality. 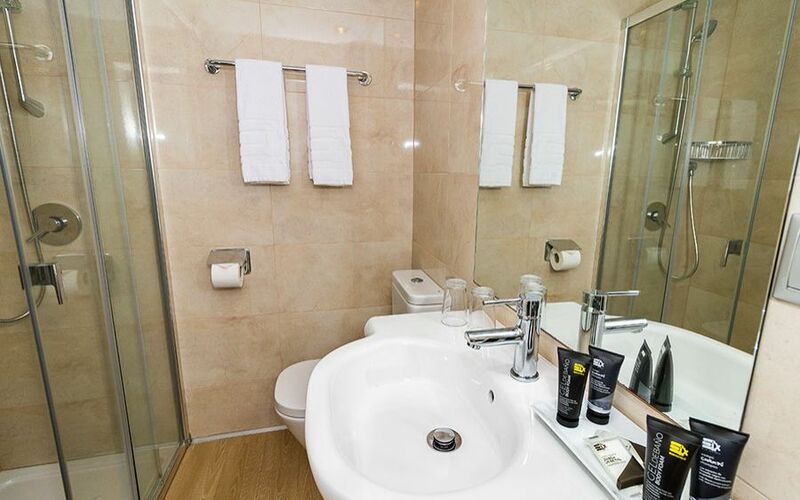 Hotel has a total of 210 rooms where you can choose between single or double rooms and suites. 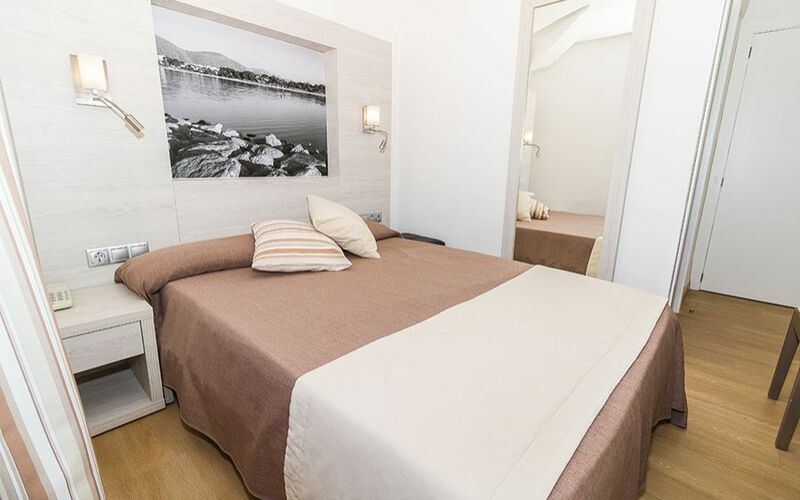 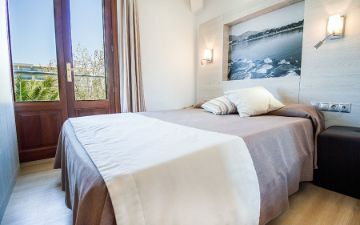 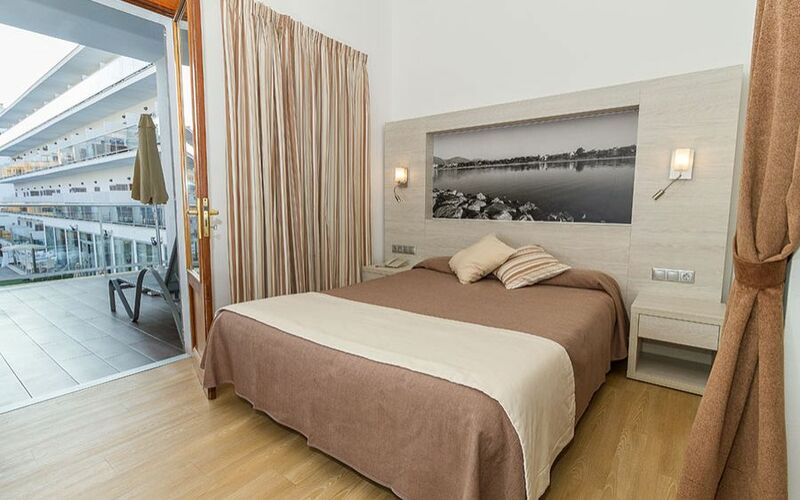 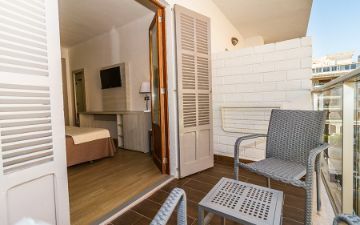 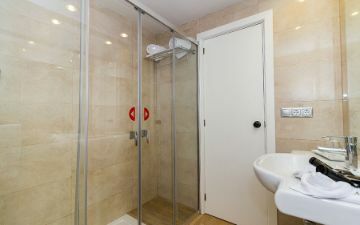 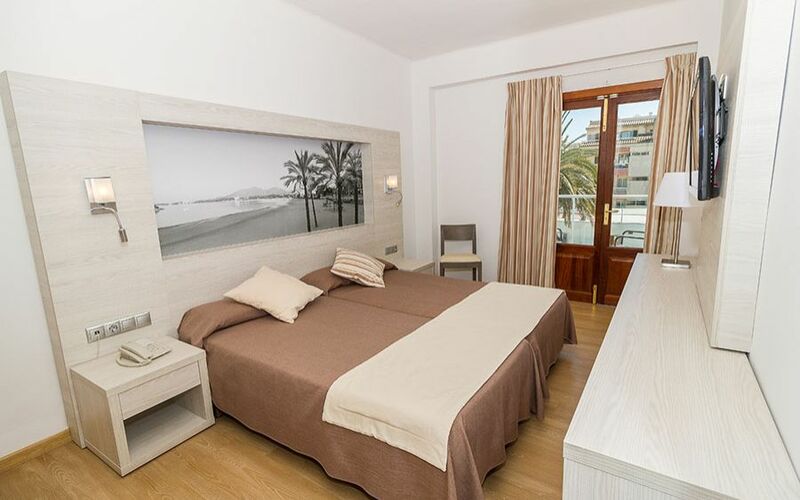 In all of them you will enjoy a pleasant stay since the rooms are spacious, modernly decorated and with everything you need to enjoy a fantastic holiday in Majorca. 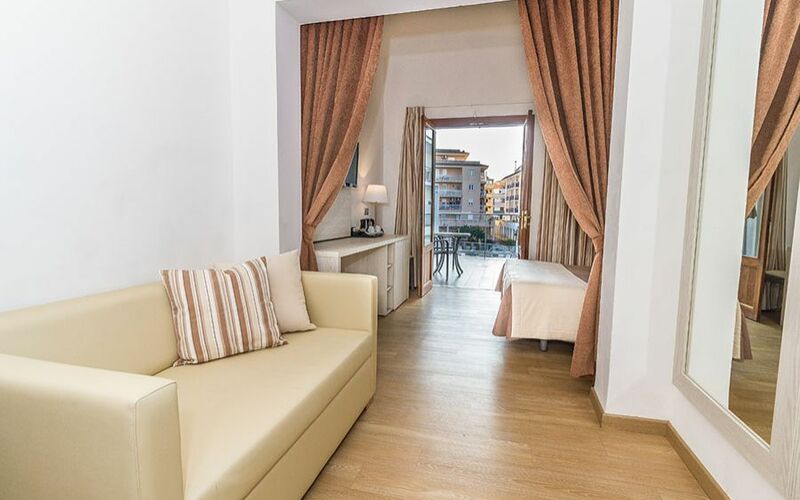 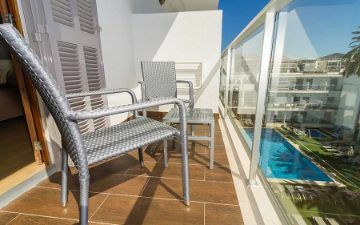 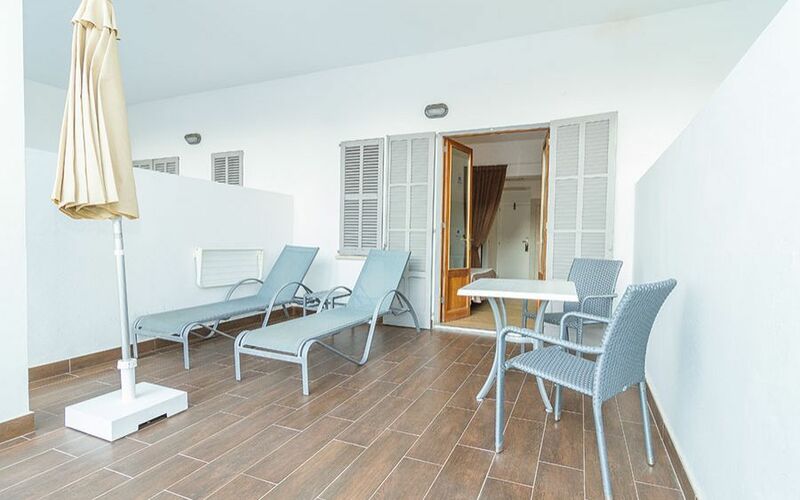 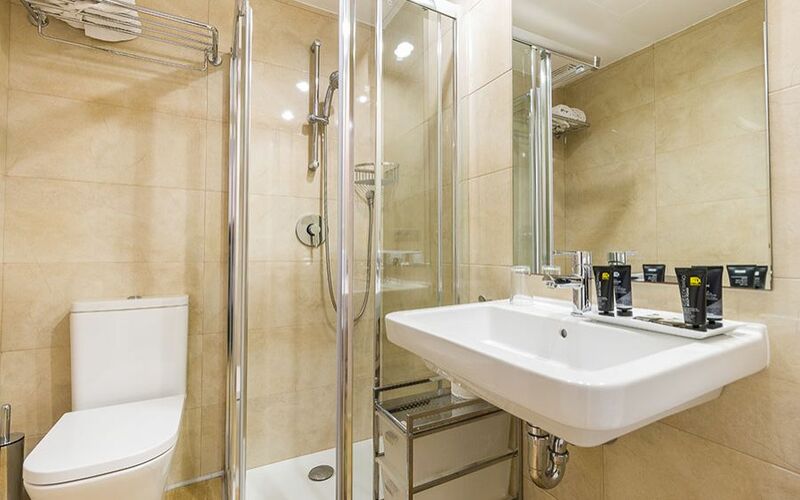 Among the services offered you will find: satellite TV, air conditioning, towels, mini fridge, free Wi-Fi, safe and an incredible balcony with views over the pool! Featuring the same characteristics and facilities as the standard double room, but with the difference that here you will enjoy views of the pool! 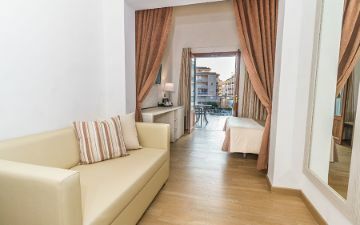 Junior Suites feature modern décor. 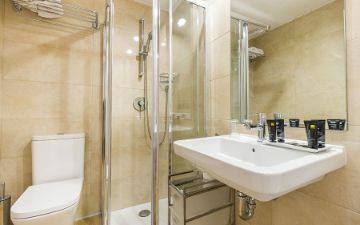 The Junior Suites have a spacious room with integrated living area with one double bed and a sofa, complete bathroom with shower and bathrobes, terrace with 2 hammocks and umbrella, air conditioning / heating, telephone, satellite TV, WI-FI Free of charge, safe (with charge), wardrobe, desk, coffee / tea kettle and mini fridge.